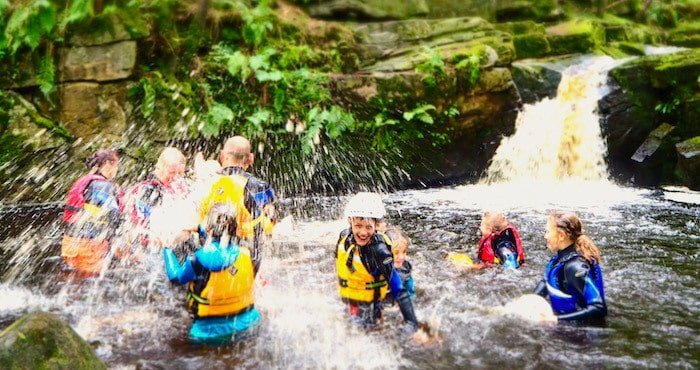 Explore an ancient gorge, carved out over millions of years in the heart of Yorkshire. Water twists and turns its way through smooth limestone channels, cascading over waterfalls and running down natural chutes. You’ll be jumping, scrambling, swimming and boulder hopping into exhilarating rapids and clear waters. 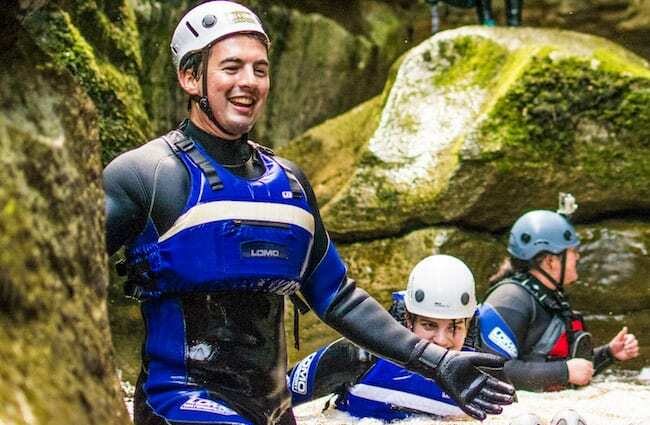 Deep pools to jump in from lofty heights, a spicy waterfall climb, slide down chutes into plunge pools, scramble up boulders and play in cascading waterfalls while discovering the thrilling activity of gorge scrambling. 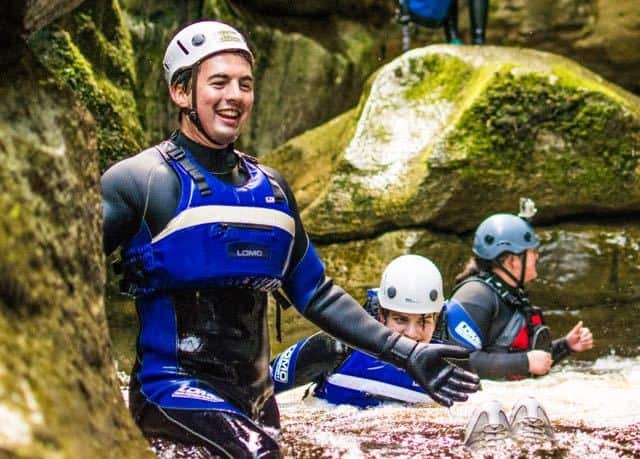 A unique adventure guaranteed to put a grin on your face and get the heart pumping! Situated in an enchanting natural woodland we’ll make our way up into the wilder uplands, surrounded by towering larches. Submerged into nature, we’re well away from roads, buildings and people, this truly is one of Yorkshire’s hidden gems. 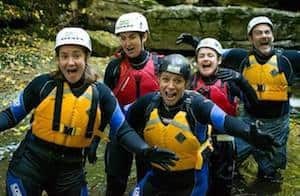 While gill scrambling you will be provided with all of the essential safety equipment, including: wet suit, buoyancy aid and helmet while being expertly guided by our safe and experienced guides. All skill levels catered to. 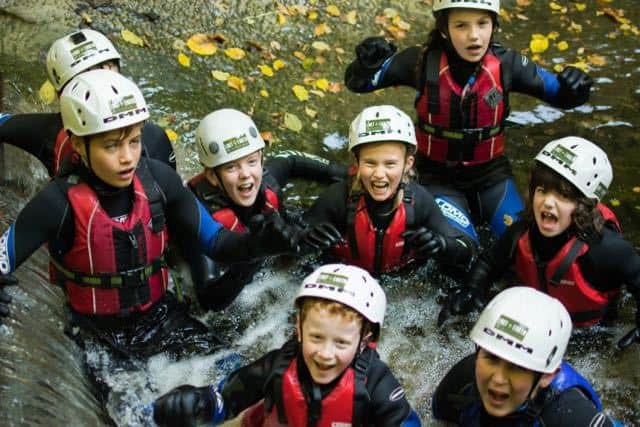 Whilst included in the gorge walking, the jumping, climbing and swimming are optional and there are options to walk around these obstacles. There are no tight squeezes or caves to go through. 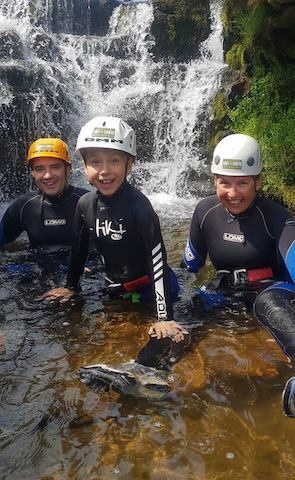 We tailor our sessions to your aims and objectives, so whether you’re looking to try out gorge walking for the first time or you’re an experienced adrenaline junkie looking for your next thrill, we’ll make our gorge walking session fit you perfectly. 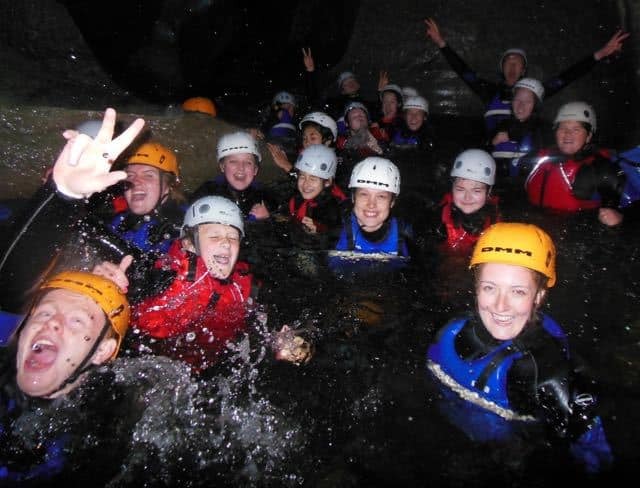 Gorge walking takes around 3 hours and can be done in the morning or afternoon, rain or shine! 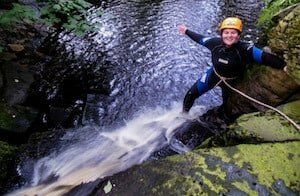 After boulder hopping your way up the gorge why not continue the adventure with a half-day of rock climbing, abseiling or caving? 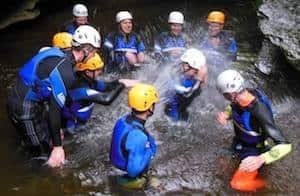 Gorge walking is incredibly popular with stag or hen parties, school and youth groups, team building and other large groups looking for something different and exciting. To make things easy as we know large groups are hard to organise, all we need is a £50 deposit to reserve the date. The final balance is not due until 30 days before the activity takes place. Deposits are non-refundable but the date can be changed with 30 days notice, subject to availability. At Lost Earth Adventures we take safety very seriously. 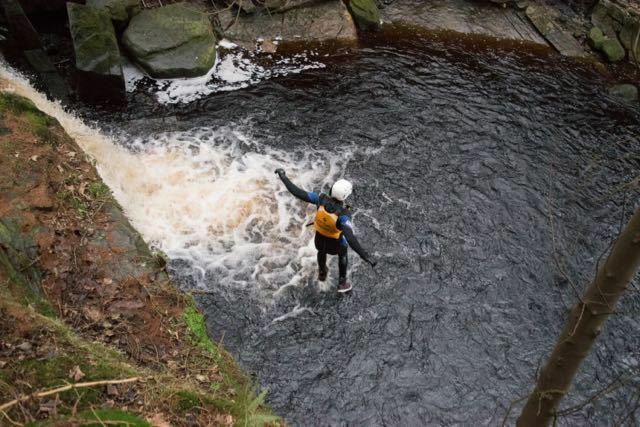 We have full public and product liability insurance, write risk assessments for every activity we offer and use highly experienced and qualified instructors with a good client to staff ratio. 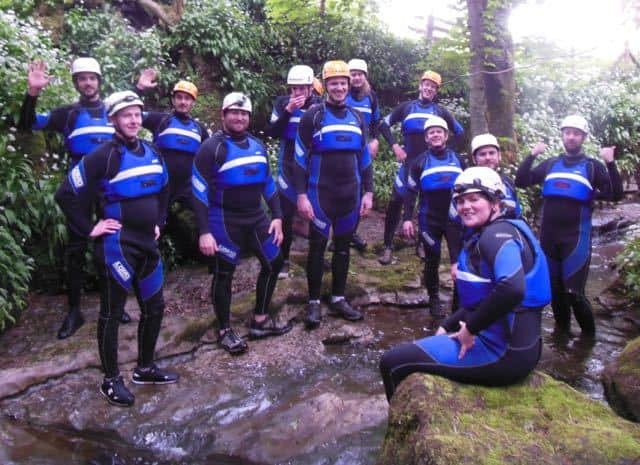 Lost Earth Adventures also holds an AALA license for the provision of gorge walking. 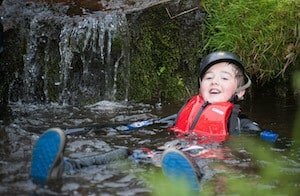 This is the highest accreditation that is available from the British Government and means that we meet the high standards set for providing adventurous activities.  Read more about our safety policy. 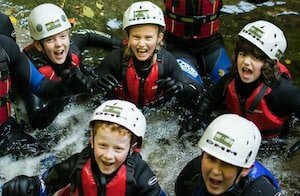 Children under 18 and older than 7 are most welcome to join us gorge walking but please let us know when booking how many and what ages they are. We have no upper age limit, as long as you have the determination and a sense of adventure! *We hope you remember your adventures for years to come so it is okay to bring suitable cameras on our activities. 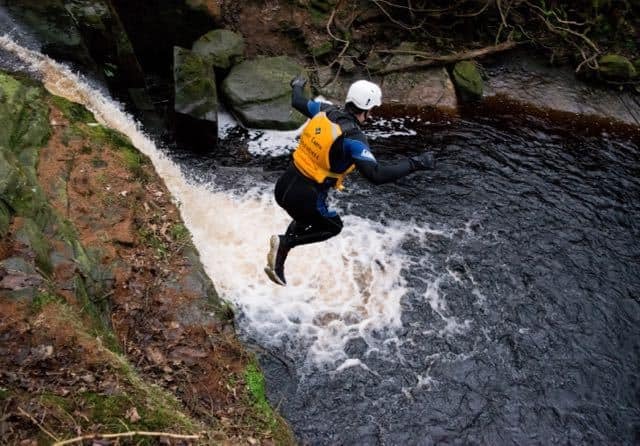 However, please be aware that due to the nature of our gorgewalking and canyoning activities, there will be times where we are wading and swimming. Cameras and phones are very likely to get wet and damaged so do try to waterproof and protect them sufficiently. We cannot be held responsible for damage of valuables. Fancy a whole weekend of adventure? Combine rock climbing with mountain biking, gorge scrambling or hiking throughout the peaks and hills of Yorkshire and the Peak District. If you are interested please read what’s on offer on our weekends away page. Anthony Craddock – Click here for more reviews. Leeds – 1 hour, Harrogate – 40 minutes, York – 1 hour 15 minutes. 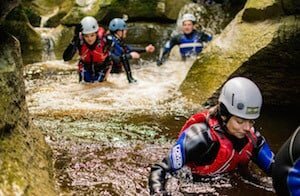 The gorge is also within close proximity to Settle, Skipton, Richmond, Middlesbrough, Darlington, Northallerton, Thirsk, Otley and Bradford. 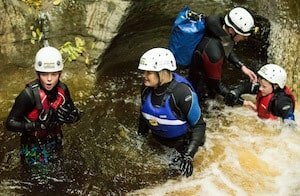 We also provide gorge walking and canyoning in other parts of the UK and Asia. Read more about our destinations. Click on the arrows to take a photographic journey through the canyon. This activity takes 3 hours, and can be enjoyed in the morning or afternoon. These prices do not include transport to the venues. If your group requires transport please contact us for more information. Booking your place is easy! To get the ball rolling, all we need from you is an email to confirm the dates and activities as well as an initial £50 deposit to reserve your spot, then you’re on your way. The total participant numbers and the final balance isn’t due until 30 days before the activity takes place. To pay the deposit click Pay Now after reading our Terms and Conditions.. 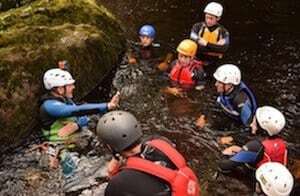 Please note that if there is persistant heavy rain before the gorge walk takes place we may have to cancel the trip but we will provide you with another activity. This happens rarely but due to the nature of the activity it can happen. Please see our Terms and Conditions for details. We don’t act as an agent for other companies, so when you book with us you are getting a true Lost Earth Adventures experience from your first point of contact. We have full changing and shower facilities, group accommodation, conference room and a cafe onsite. 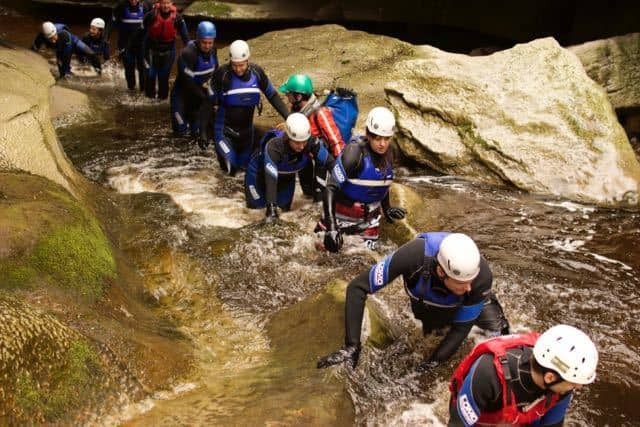 As an outdoors provider, we have been doing this for many years, not only in Yorkshire, but we have also explored gorges in France, America, Canada, Australia and the Himalaya. 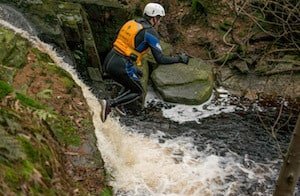 Our equipment is new, clean and the best available for gorge walking, which includes the warmest wetsuits in the industry along with neoprene gloves and socks that will keep you toasty when we’re swimming and scrambling our way through the gorge. We never rush and don’t believe in cutting any corners. We believe in giving your group not just a great day, but an exceptional one. This is your day and we’ll do everything we can to make it one to remember. Our session is 3 hours and we maximise our time spent in the gorge. 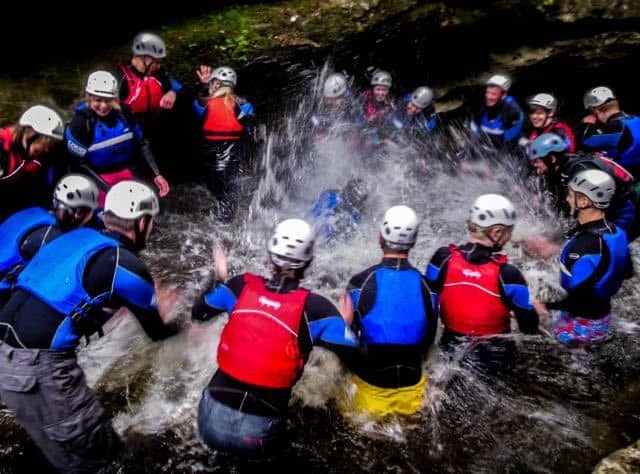 Our instructors will also create fun and entertaining games for you while also guiding you safely through the gorge. You will receive a fantastic staff to client ratio so that you do not spend a lot of time waiting around.